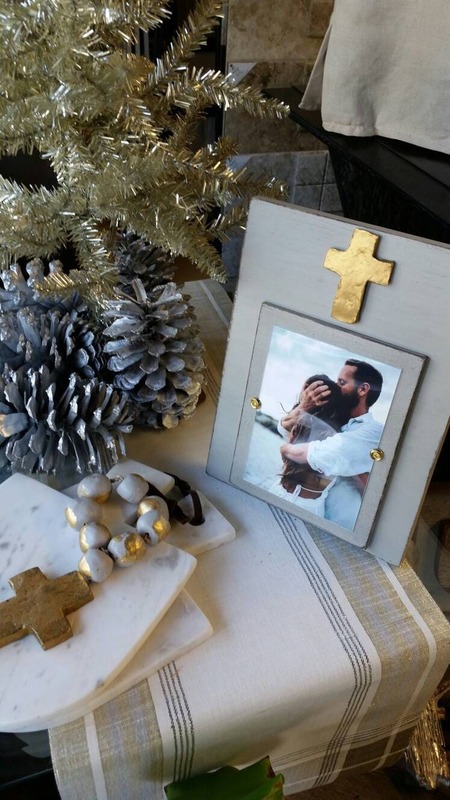 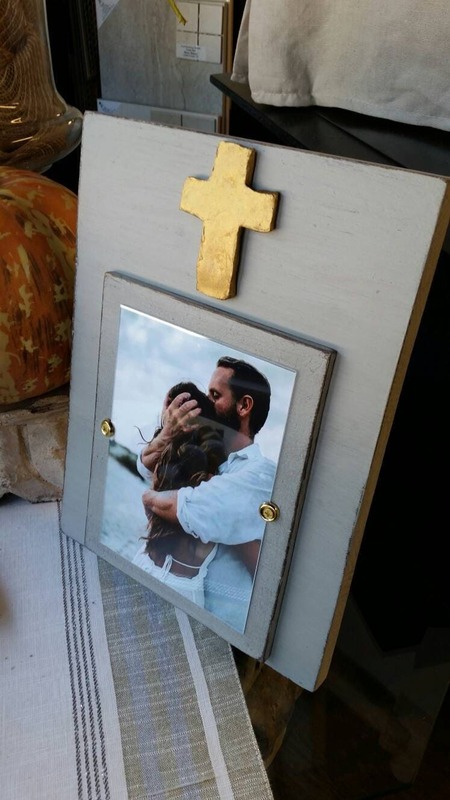 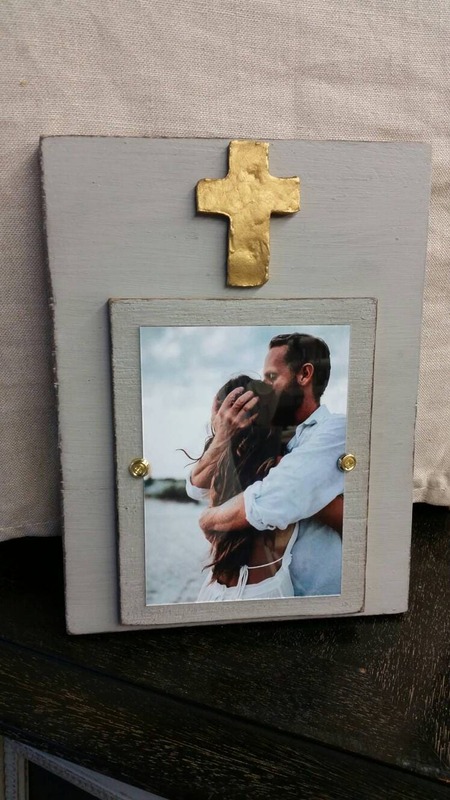 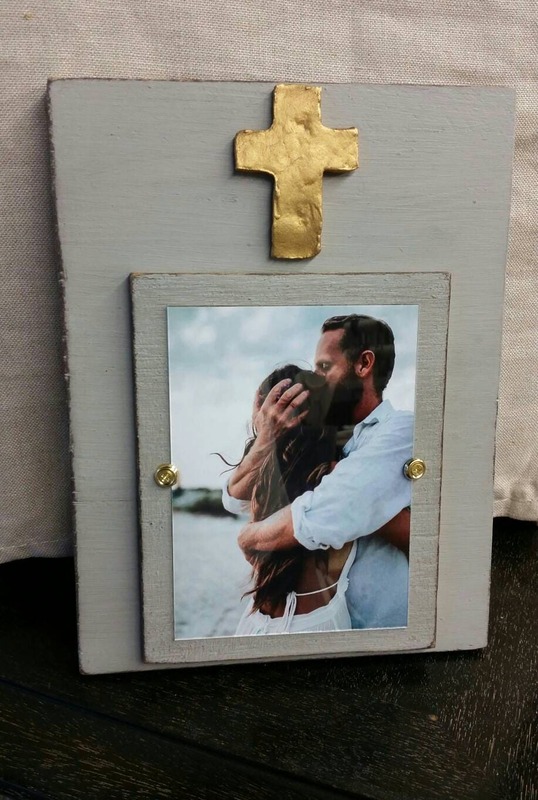 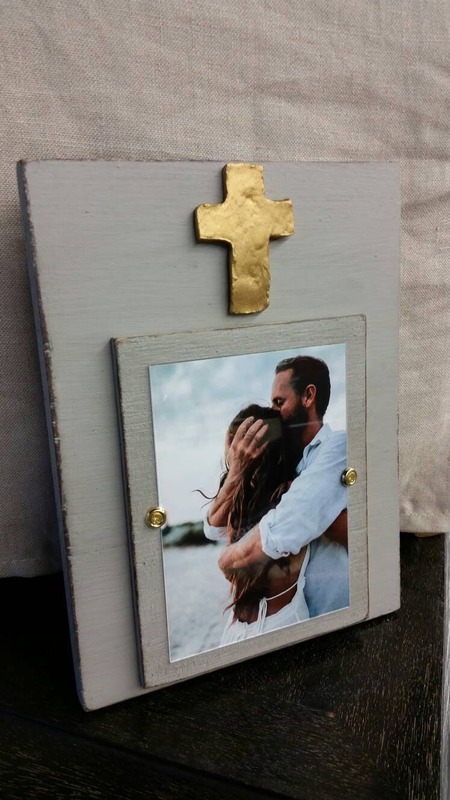 Cross With Gold Leaf on Handmade Wood Picture Frame - Painted and Distressed Gray - 5x7 Vertical Photo - Coastal - Gift - Beach. 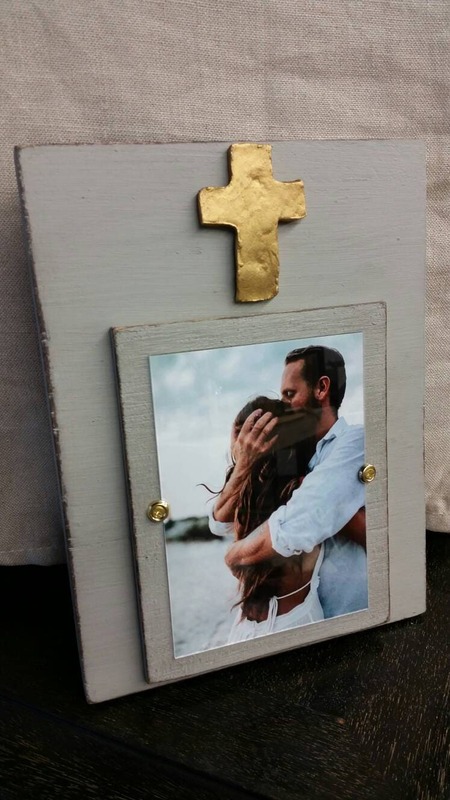 Finish color - Distressed Gray. 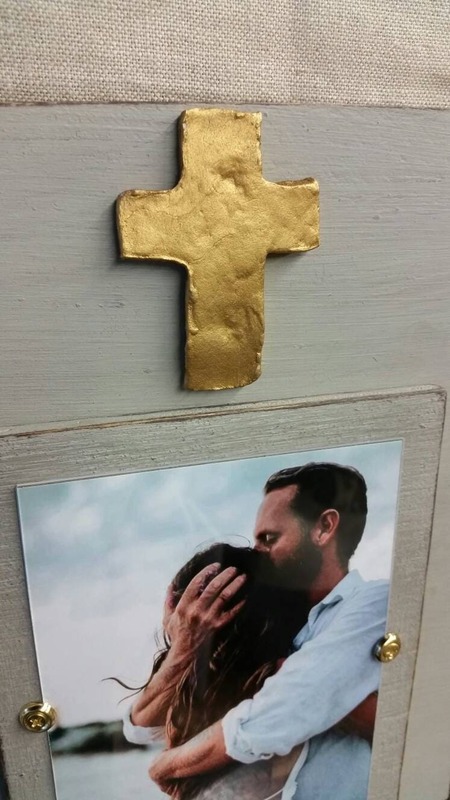 With a cross that has been accented with gold leaf. 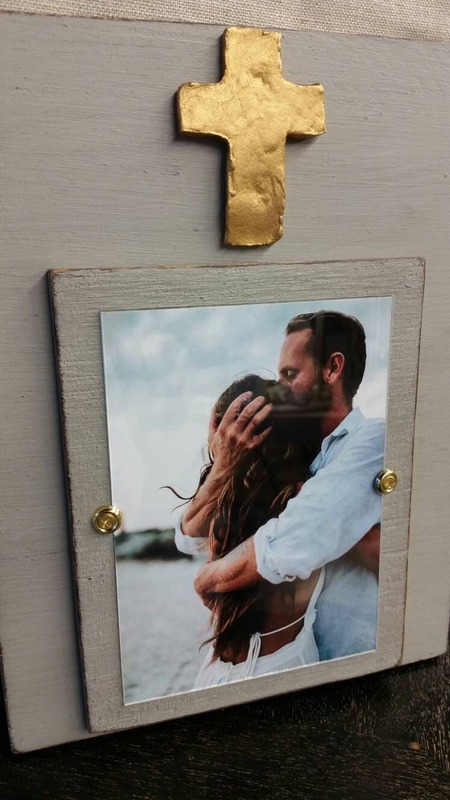 Screws and washer holds the picture cover in place simply slide you photo in.